Under any decarbonisation scenario, whether dominated by fossil fuels or renewables, centralised or decentralised, €10 to €20 billion in annual investments in grid infrastructure will be needed in Europe in the decades out to 2050, concludes a multi-stakeholder consortium led by European Transmission System Operators in a landmark report. In another report, the European technical association for electricity and heat generation VGB PowerTech, concludes, rather surprisingly, that Europe will have to maintain its historical rate of investment in thermal power plants, to ensure security of electricity supply. However, both studies only take limited account of the possibilities of demand-side management and storage. Europe does not need a new “supergrid”, but it does need to significantly expand its current network of high-voltage transmission lines if leaders want to deliver on their promise to cut greenhouse gas emissions by 80-95% in 2050. This is the main message of a new “Electricity Highways” report unveiled by a consortium led by Transmission System Operators (TSOs) in Brussels at a conference on 3-4 November. E-Highway2050 was a 40-month EU project that started in September 2012. It was initiated by the European Commission’s energy department and funded by the Commission’s research and innovation department. The goal was two-fold: one, to develop a new, long-term planning methodology for the pan-European transmission grid (the current Ten-Year Network Development Plan (TYNDP) developed by the European Network of Transmission System Operators (ENTSO-E) every two years as required by EU law, only stretches to 2030) and two, to apply this new methodology to provide a first vision for long-term grid expansion. Three years later, the results are in. Against a much altered backdrop. The project was launched in the era of Desertec, a now-defunct project to harness solar power in the Sahara and cable it to Europe. At the time, TSOs and policymakers talked excitedly about a continent-wide “supergrid” of high-voltage DC (HVDC) cables. Today, the energy transition is associated much more with decentralised generation and individual citizens as “prosumers”. The e-Highway 2050 report’s authors conclude that Europe does not need a new long-distance high-voltage network. “Our understanding of the project is that at least for now we are not talking about a completely separate, new, parallel structure at higher voltage level,” emphasised Robert Schroeder, Manager for System Development at ENTSO-E at the report’s launch. For him, electricity highways are: “AC, DC or hybrid technology, both onshore and offshore at extra high voltage”. So the project’s usefulness has turned out to be not a master plan for a new overlay grid, which some have called for, but a clear identification of the bottlenecks in today’s grid that need to be fixed by 2050. The consortium’s simulations show that the 2030 grid (as foreseen in the 2014 TYNDP) is insufficient under any 2050 low-carbon scenario. There is simply not enough grid to bring power from renewables generation to demand centres – even in the “small and local” scenario. In practice, the authors studied five very different energy scenarios intended to cover every eventuality, no matter how unlikely. They vary from fossil fuel-dominated to 100% renewables generation, centralised to decentralised, and low to high GDP growth and energy efficiency. This resulted in a “minimal grid” for 2040 that is still flexible enough to evolve to meet the demands of any of the five scenarios in 2050. For policymakers and regulators the message is clear: there is a series of no-regret investments to be made by 2040 (see figure below). Depending on the scenario, the annual investment required is €10-20bn per year, for an annual benefit of €14-55bn. The expected benefits outweigh the costs in all the scenarios. Greater investments deliver proportionally greater benefits. The new label brings no additional benefits at EU level. But Kurt Glaeser, deputy head of unit for networks and regional initiatives at the Commission’s energy department said: “It is clear that when we identify specific infrastructure as especially important, it is also up to the member states and national regulatory authorities to deliver on that.” If additional incentives are to come, they will have to be at national level. Finally, e-highways may be brought into focus through the planned follow-up to a 15% interconnection target for Europe for 2030, agreed by European leaders in October 2014. “Electricity highways will certainly be very important for that target,” said Glaeser. He reassured TSOs that “contrary to the 10% [interconnection] target [for 2020], we will work towards the 15% target by looking into regional markets, into trade flows, into bottlenecks and into costs”. In other words, “it will not be a one size fits all approach,” said Glaeser. The Commission is due to issue a policy paper on what it understands by the 15% target and how to meet it in the third quarter of next year. The flip side to the grid is generation. “Grid planning has to follow generation planning,” said Schroeder on 3 November. This means for example, that knowing what countries or regions plan to do on renewables is just as important for grid as for renewables investors, noted Kristian Ruby, new Chief Policy Officer at the European Wind Energy Association (EWEA) at the e-Highway2050 launch. The Commission is working on a new governance system for energy, in the context of the Energy Union, which should set out how Europe will achieve its collective 27% renewables target for 2030 for example. In another study published last week, some experts have looked at Europe’s generation needs in the coming years. They conclude that annual investments in electricity generation capacity have doubled to around 40 GW in the last decade, compared to earlier decades, and could double again in the years to come. This is mainly due to the growing penetration of wind and solar power, which typically run at lower loads than thermal power. It is also for this reason that “overall installed capacity will grow much faster than demand for electricity on an energy basis”, they suggest. The study was carried out by the Chalmers University of Technology in Sweden at the behest of the Scientific Advisory Board of the European technical association for electricity and heat generation (VGB PowerTech). The Board consists of about 30 experts from all fields of power production and supports the association in research and development. Like the e-Highway2050 project, this study took the decarbonisation of the European power system in 2050 as its starting point and looked at investment requirements for the EU electricity sector. The authors analysed four scenarios based on the EU’s 2050 energy and climate roadmaps, including a 100% renewables scenario. Like the e-Highway2050 project, they conclude that a significant increase in interconnector capacity is necessary in all scenarios, “at least a doubling by 2030 compared to the existing capacity of approximately 50GW”. But their more surprising conclusion is that “the capacity-investment pace in thermal power plants is in parity with the historical level up to 2035 for virtually all four scenarios”. In other words, the historical investment rate in thermal power plants must be maintained going forward. A big reason for this is that about half of Europe’s thermal power plant capacity will be phased out due to ageing before 2030, according to the research. 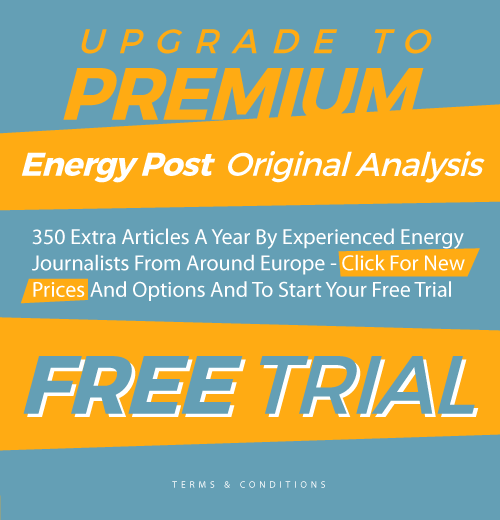 “Meanwhile, the expansion of variable renewable electricity is likely to proceed at a rapid pace, which raises questions concerning the future availability of back-up capacity,” write the authors. They add: “Post 2040, the annual capacity investments in thermal power supersedes the historical levels due to the heavy investments in gas turbines needed for back-up capabilities, but also due to investments in CCS [carbon capture and storage], biomass and nuclear power”. The authors suggest that total electricity generation investments of around €40bn a year are needed until 2025, rising to €40-80bn a year from 2030-35. This is in line with estimates from the International Energy Agency (IEA)’s 2014 World Energy Outlook, they say. Renewables make up the bulk of these figures, but thermal power investments are part of them. The association argues that current peak electricity prices of €25-40/MWh will not deliver the investments needed. The European Commission is due to issue legislative proposals on a new electricity market design next year to address this problem. Security of supply is also what grid operators are starting to talk about as they struggle to get their projects off the ground. About half of the energy infrastructure projects that have been prioritised so far (via the PCI label) have been delayed or rescheduled. The main reason is public opposition. At the e-Highway2050 conference, there were plenty of ideas on how to tackle this, from more underground lines (at 3-8 times the capital cost, though total ownership cost may be more comparable to overhead lines) and a switch from macro- to micro-economic arguments, to inclusive, large-scale public brainstorming sessions and suggestions that the renewables sector could do more to help make the case for grids. A representative from the Netherlands suggested that it is about communicating that the role of the TSO is “to keep the lights on” not “to build grids”. In the Netherlands, the Ministry of Economic Affairs and the Parliament jointly decide which grid projects should get the go-ahead, with the Parliament effectively there as the voice of the public. The problem is of course that with the enormous investments required in both generation and the grid, electricity bills will go up. The joker in the pack is the demand side. Neither study looks in depth at the potential for demand side management and storage technologies. Both the e-Highway2050 project and VGB PowerTech study acknowledge this. The former makes some assumptions about the development of storage and demand-side management, but admits that it focuses first and foremost on possibilities for expanding the transmission grid. It also judges this the most cost-effective way forward, estimating that batteries to store solar power, for example, would cost €20bn for Spain alone. Nevertheless, the authors suggest a deeper assessment of alternatives, including power-to-gas. The distribution grid merits a study of its own out to 2050, added Gian Carlo Scarsi, Head of DSOs at electricity trade association Eurelectric at the e-Highway2050 launch, to investigate the optimal balance between different kinds of grid investments. The EU is set to deliver its first “State of the Energy Union” report on 18 November. This is a prelude to legislation on everything from energy efficiency and renewables to a new electricity market design and gas strategy in the next two years. Legislation could be a game-changer especially for the demand side, where so much remains unknown. The big question is how the European electricity – and indeed energy – system can be optimised to deliver on the 2030 and later 2050 goals for a low-carbon, competitive, secure economy. Only a whole-system approach will deliver maximum benefits for consumers. TSOs and power generators can make their case, but regulators and policymakers will have to balance all the interests. They still believe in CCS! Within three years, this report will be in the dust bin, if it is not aready there. Yep. Incredible as it sounds, even the IPCC Chair is all over it. CCS is the magic fairy to keep the confirmation bias going. Wow. That is incredible. How can you look at the future energy system without looking at storage? How can anyone take these studies seriously then? Of course we would need large conventional power plants if we didn’t bring down the cost of storage. This is the same problem the IEA had for so long, looking at last years costs for wind and solar, neglecting cost reductions and predict therefore a stalling growth, wich has been wrong every year for the last decade. Now these studies do the same. It is mindboggling stupid. The “Electricity Highway report” concludes that a Supergrid or an Overlay Network is not needed. This important conclusion is a major result of a study, which is far from complete. This is amazing. In spite of the fact that the List of Deliverables contains a very clear point D 2.3: “System simulations analysis and overlay-grid development” there are only two places in the document where is said that a new “separate layer” is not needed. Reasons fot this conclusion are not given! In fact, for subjects like Cost Allocation and Governance, the report in essence just says that these are important and complex matters in case of long distance connections and that more study is required. The report even states that “deeper assesment of alternative solutions” and further research are essential. Our EU PowerNet proposal contains proven solutions for at least the subjects Governance and Cost Allocation. The core of this proposal is that a cooperative company, jointly owned and governed by rhe TSO’s (who are owned and/or controlled by the governments), operates an overlay network. This solution also enables countries and their TSO’s to have their own strategy regarding the provisioning of electricity.